Nvidia's graphics cards may be a black box, but they're easily the best-performing option on Linux machines. The hour draws nigh. Valve recently announced the first few Steam Machines available for pre-order, and beyond SteamOS itself, each one had something in common: The first announced Steam Machines from Alienware and Syber all have Nvidia graphics hardware. Valve’s SteamOS is built on top of desktop Linux—it’s basically just another Linux distribution—and it uses the same graphics drivers Linux users have been using for more than a decade. Nvidia may be unfriendly to the open-source community, but its Linux graphics driver has always been far ahead of AMD’s—and ATI’s, before AMD purchased ATI. Falcon Northwest’s powerful Tiki Steam Machine. The gap is still there. Many of the recent AAA games ported to Linux on Steam work best on Nvidia graphics hardware, and worse on AMD Radeon hardware. In fact, some games explicitly support only Nvidia graphics. When The Witcher 2 was ported to Linux, the developers only supported Nvidia graphics hardware. AMD was behind, and had to update its Linux Catalyst drivers before the game ran properly. Phoronix’s benchmarks of Bioshock Infinite for Linux show old Nvidia graphics hardware performing several times faster than even the most recent AMD Radeon graphics. When Metro Redux made it to Linux, Phoronix found the game performed well on Nvidia graphics but didn’t deliver a “playable experience” on AMD graphics. Benchmarks of Civilization: Beyond Earth again found that “AMD still clearly has a ways to go in improving their driver’s performance for Civilization: Beyond Earth on Linux.” AMD’s graphics fell behind on Unreal Engine 4 benchmarks, too. AMD has likely improved its results with these various games and game engines, but this isn’t just about the individual games. This is about a larger pattern of AMD’s graphics drivers' being less mature and worse-performing on Linux than Nvidia’s. AMD does seem to have a renewed focus on its Linux drivers, thanks to Valve’s Steam Machine push. 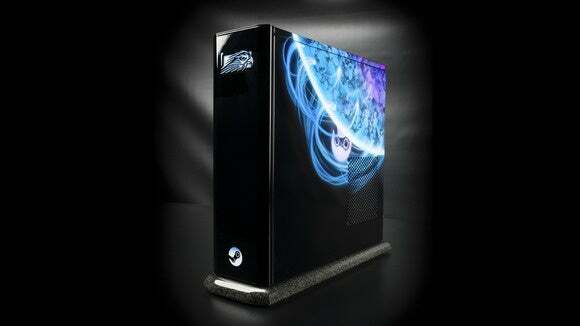 But AMD graphics certainly won’t be competitive with Nvidia graphics when the first Steam Machines launch in November. If a manufacturer releases a Steam Machine with AMD graphics that seems like a good deal, it probably won’t be. Even if it has a newer or more powerful graphics card than similar Nvidia-equipped machines in the same price range, the Nvidia-equipped machines may very well perform better—though that can and may change over time, of course. As we debate AMD vs. Nvidia, it's worth nothing that Intel’s integrated graphics aren’t really in the running. Intel does have solid open-source drivers, but its integrated graphics would work only if you plan to use a Steam Machine to stream games from an existing Windows gaming PC or play a handful of less-demanding games. But you’d be better served by a $50 Steam Link to stream games to your TV. For actual Linux gaming, choose Nvidia.